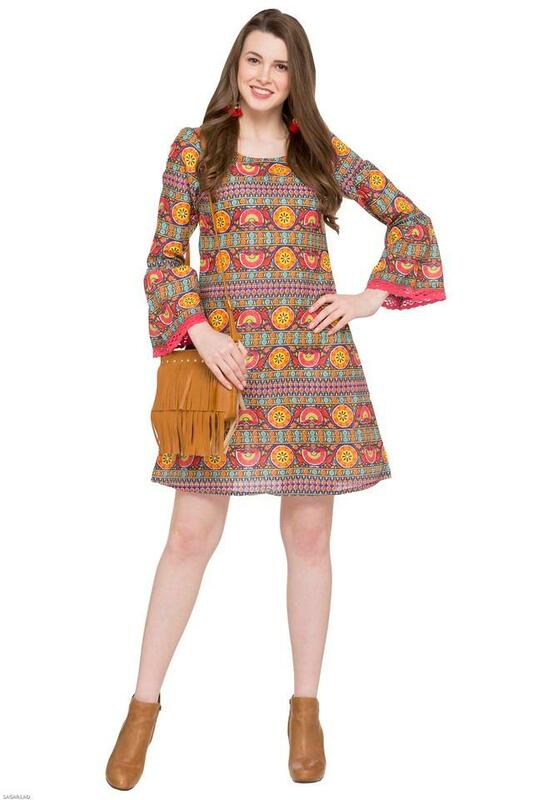 Look the epitome of femininity and grace in the gorgeous kurta from Haute Curry. 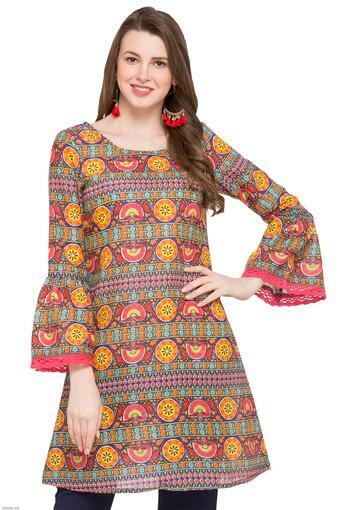 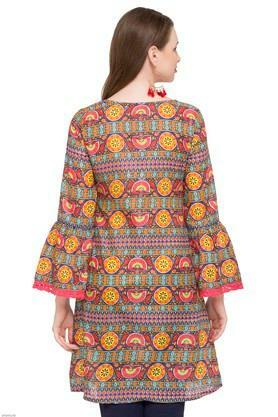 Featuring bell sleeves and an appealing printed pattern, this kurta is sure to liven up your appearance. 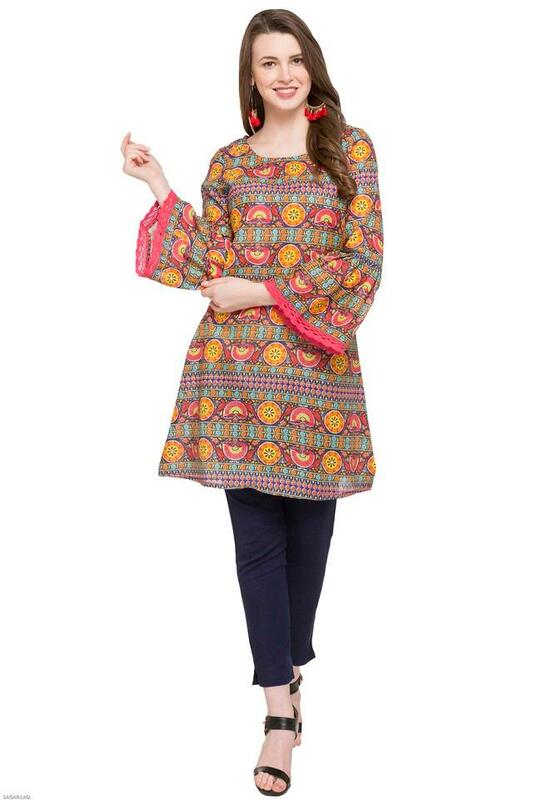 Display your true elegant side in this charming kurta. Dress it up by pairing it with a leggings with high heels.